Hi and welcome to Groomingdales UK. 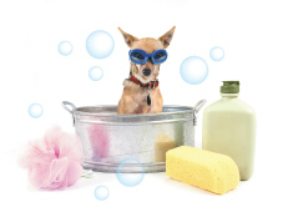 First of all let me introduce myself: I’m Kim Pothecary, a City & Guilds qualified dog groomer. I had the pleasure of training under world renowned groomers Colin Taylor & Heidi Anderton of Absolutely Animals in London. I relocated back to the UK after spending a number of years living and grooming abroad. Having 3 long haired dogs myself I realised that there was a definite need for a specialised grooming service in this area - one that leaves your dog looking and smelling wonderful while giving them the best care and attention going, plus giving you a convenient, professional service.